Are you seeing the acronym "RT" somewhere online? Perhaps on Twitter? Or maybe even in a text message? Confused? Keep reading to find out which interpretation you're seeing. When RT is used to mean "retweet," it's almost always done on or in reference to the social network platform Twitter. A tweet is simply a regular post on Twitter. When you post on Twitter, you're "tweeting." A retweet is a reshare or a repost of a tweet from somebody else. When you retweet somebody, it shows up on your profile and in your followers' timelines under the original tweeter's name. 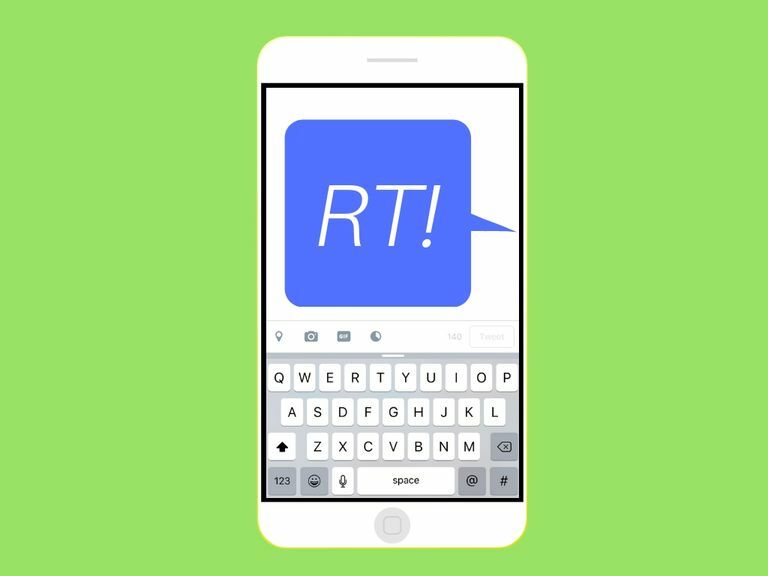 To learn more about retweets on Twitter, check out our article on How to Retweet and What the Difference is Between a Regular and Manual Retweet. "RT if you wish it were Friday"
To encourage interaction, Twitter users will often tell their followers to RT them if they agree with them about something. "Let's see if we can get 1 million RTs on this tweet." In this example, RT is pluralized. "RT @username: The sky is so blue today!" This is an example of a manual retweet. Manual retweets are not as popular on Twitter as they once were years ago, but you might still come across a few. When RT is used to mean "real talk," it's meant to inform others about the seriousness of what's being said. It's similar to saying, "In all seriousness" before a sentence. "Real talk," however, can be used at the beginning of a sentence, in the middle or at the end. The slang term is helpful in casual conversations or statements. "Real talk" can help distinguish a certain part of the conversation as more serious than other portions, or it can turn a seemingly funny or halfhearted statement into something taken more seriously. "RT there's no better midnight snack than a grilled cheese." RT is used at the beginning of this general statement to notify others that what's about to be said is sincere or serious. Friend #1: "That was so funny when Mr. Jones fell during class. Lol!" Friend #2: "Yeah it was but RT I've fallen that way before and it's painful." This second example shows how RT might be used in the middle of a sentence. Which Interpretation Is Being Used? If you're seeing RT used on Twitter, that's a pretty clear giveaway that it means "retweet." If the conversation has nothing to do with Twitter, "real talk" might be the correct interpretation. If you can read the message and replace "RT" with the phrase "In all seriousness," then "real talk" is probably being used. Right There: Referring to a specific place. Real Time: Referring to the current moment. Roger That: Confirming that a message has been received or understood. Russia Today: Referring to a popular Russian news channel. What in the World Does GGG Mean?